Recently we were extremely lucky to catch up with the wonderful Genevieve Hawkins while she was in Sydney. We had the pleasure to ask her why she’s so passionate about changing the conversation on mental health, and what she thinks every manager can do to improve their own mental health and that of their team members. Genevieve, why are you so personally passionate about tackling the mental health issue? “Firstly, I have a background in health (Genevieve has a Bachelor of Applied Science in Occupational Therapy), so I’ve always had a strong interest in helping people to improve their health and wellbeing. But I’ve also always been interested in how organisations work and specifically, the connection between what’s not working in companies and how that impacts individuals. My passion also stems from what we’re seeing in society today. 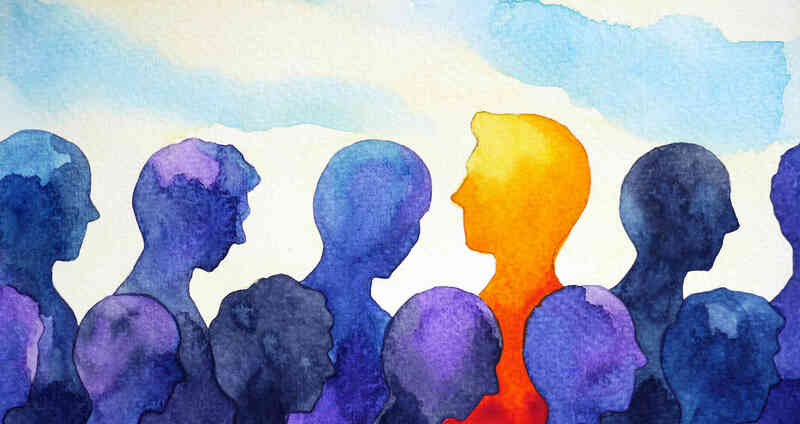 People are looking at the apparent rise in mental illness – particularly the increasing rate of diagnosis of depression and anxiety – and saying ‘What do we do?’ Well actually, there is so much that we can do, both as individuals and as groups. The opportunity to make a difference is massive and that’s what makes me personally passionate. What role do you think managers and leaders in workplaces play in making a difference to mental health? “Managers play a HUGE role. Whatever position you’re in in an organisation, we all need to feel like we’ve been seen, we’ve been heard and that we matter. And I believe individual managers can impact this by how they design work and give feedback about the way the work needs to be done which takes the role of the manager well beyond just supporting a team member when they are struggling to contributing to preventing issues in the first place. Gone are the days when line managers can just say, ‘Well you get paid at the end of the day so I’m looking after you”. Managers play a huge role in creating clarity, connection and trust within their team. To me, it’s crystal clear the work we need to be doing in job design: Firstly, that what we’re asking people to do is reasonable. Secondly, that we’re really clear on expectations, and thirdly, that we’re giving regular feedback on what the individual is doing well – as well as where they can improve – so that individual knows exactly where the guard rails lie. I think a lot of angst (and I specifically call it angst, rather than anxiety) is caused by people saying that the guard rails keep changing. What is the most important thing that a manager can do straight away to improve the mental health of their team? 2. Then actually look after their own mental health. Managers need to appreciate that the camera’s always on and their actions are seen – and modelled – by those around them. That to me is a shift that we need to start making. We seem to ‘get’ physical health. We understand what we do to be physically healthy and we’re pretty open about the things we do to stay physically fit. Mental health should be no different! At Coles, we talk about the 5 pillars of a mentally healthy me: Be active, Stay connected, Give back, Keep learning and Be mindful. You don’t need to be perfect at all 5, but we do know that getting a balance across all 5 pillars is what gives you the best protective factors against mental illness. 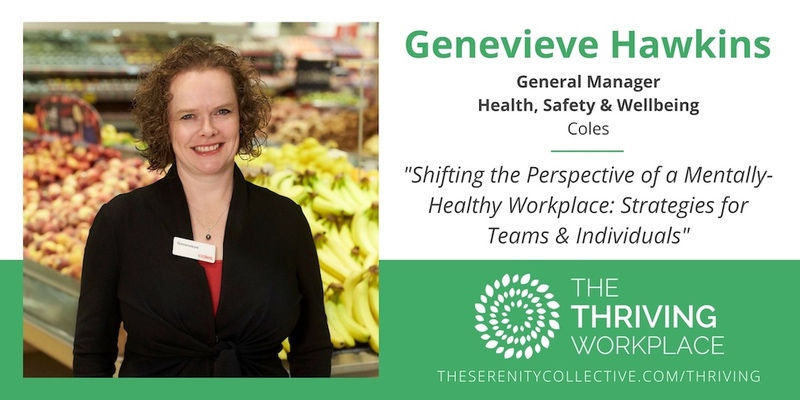 Genevieve will be sharing more on what leaders can do to look after their own mental health – as well as the mental health of those in their wider teams and organisations – at The Thriving Workplace Event in Sydney in August.